An exhibition dedicated to foreign, independent, and obscure animation plus a few other things. With that out of the way, I wish all of you a Happy (Rather Belated) New Years!! 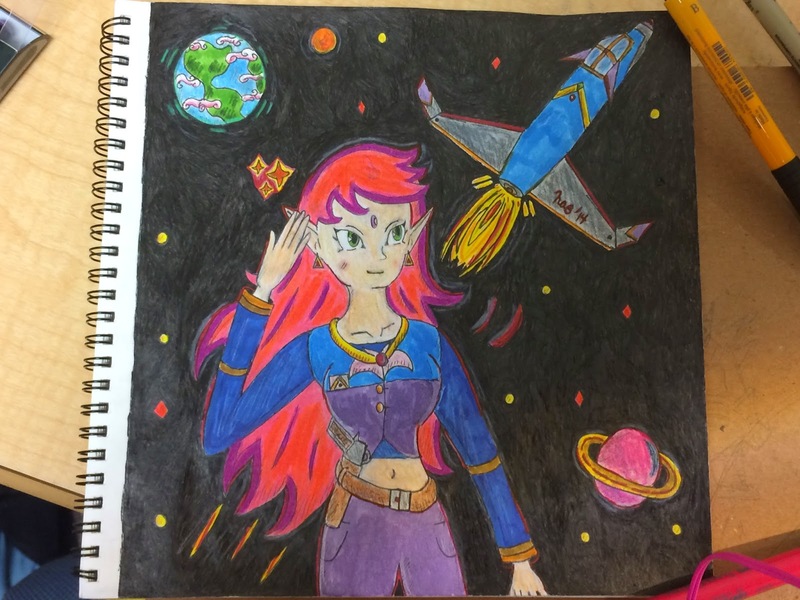 Today, I have decided to introduce a new feature to this blog, The Animator of the Month. 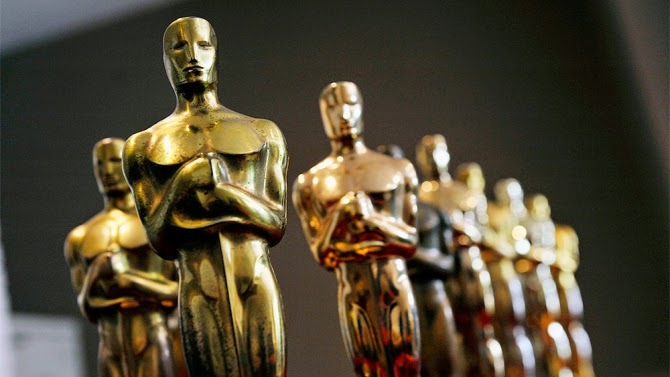 It will feature animation artists both well-known and obscure, based upon their impact on the animation industry as a whole. This month, Iwao Takamoto will be covered. 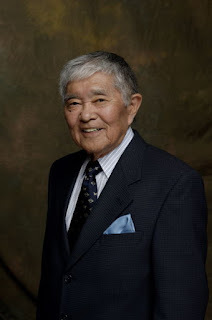 Iwao Takamoto, was born on April 25th, 1925 in Los Angeles, California to Japanese immigrants. Although Iwao never attended college, he was a quick leaner. He graduated from Thomas Jefferson High School in Los Angles at age 15. 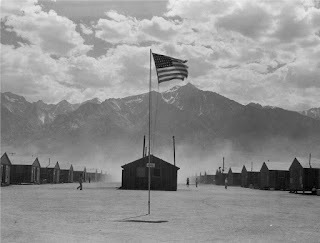 Shortly after the bombing of Pearl Harbor, Iwao and his family were forced to move into the Japanese American internment camp, Manzanar. Despite having to endure living there until the end of WWII, the Takamoto family made the best they could of the situation. Iwao took up drawing classes under the wing of two other interns who were formerly film studio art directors. Barracks at the Manzanar internment camp. After being released from Manzanar, Iwao contacted Disney. He initially knew little about the company, but had remembered hearing the name frequently from his tutors. Despite having little idea how to put together a portfolio, Iwao's work was accepted by the studio. 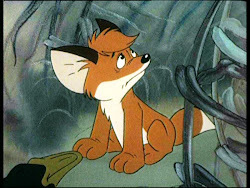 He would end up working there for 16 years, between 1945 to 1961, as an assistant animator. 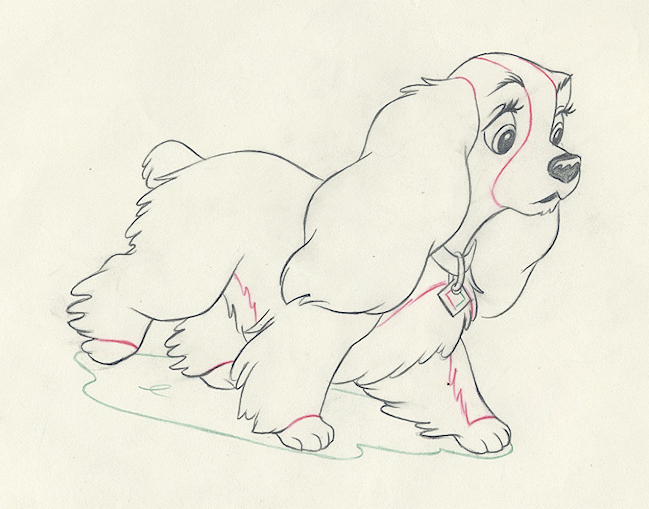 He worked closely with senior animator Milt Kahl, helping bring life to such characters as Lady from The Lady and The Tramp and Aurora from Sleeping Beauty. 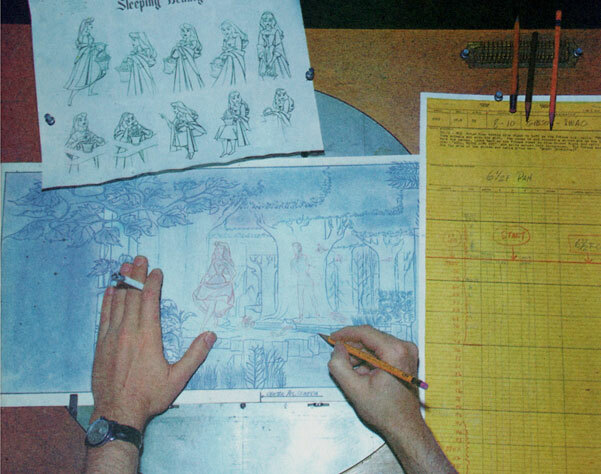 While he was working on Sleeping Beauty, he married Jane B. Baer in 1957. They would have one son together, Michael, and remained married for seven years. 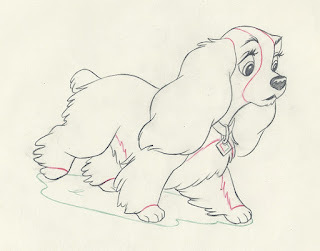 The last film Iwao worked on at Disney was 101 Dalmatians. 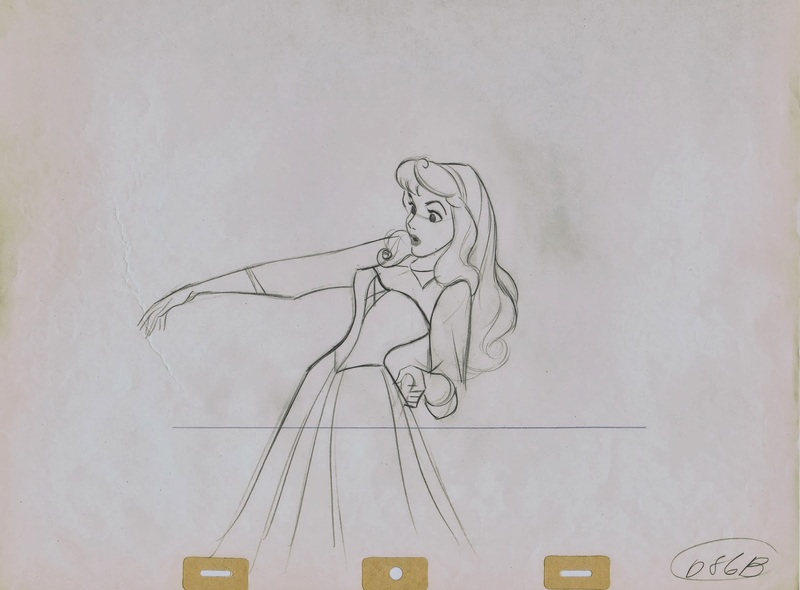 Layout drawing by Iwao Takamoto for The Lady and the Tramp. Iwao working on Sleeping Beauty. 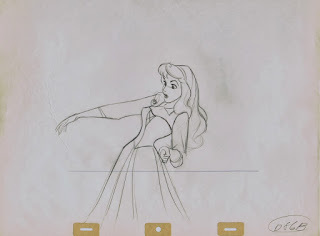 A drawing from a sequence in Sleeping Beauty. 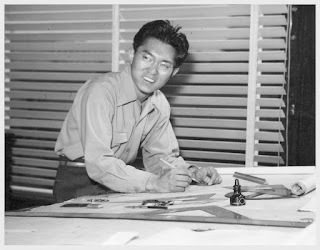 While it is easy to speculate that Iwao could have left Disney due to receiving little to no credit for his work, this practice was common at time for other Japanese Americans, women, and minorities. 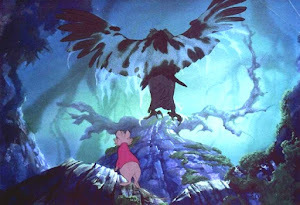 (Today, many contemporary animators are more aware and appreciative of their efforts, including Disney's Andreas Deja.) It is far more likely that he eventually left the studio due to the competition that theatrical animation was receiving from television, and thus started working for Hannah-Barbera. Iwao at Disney between 1950-1960. At Hannah-Barbera, Iwao Takamoto found great success. He first began working as a layout artist on The Yogi Bear Show, and would quickly go on to become one of the studio's chief character designers. By the 1970s he had become a major producer for the studio and he would go on to direct two of the company's feature films, Charlotte's Web (1973), and The Jetsons Movie (1990). 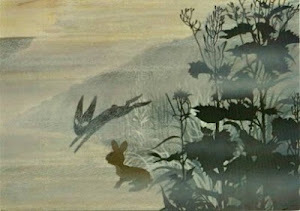 Iwao also met Barbara Farber at HB on one of her studio tours. They married in 1964, and would stay together for 44 years, until Takamoto's death. "When you do a Saturday Morning cartoon, you have to cut out every nonessential line because pencil mileage is money." 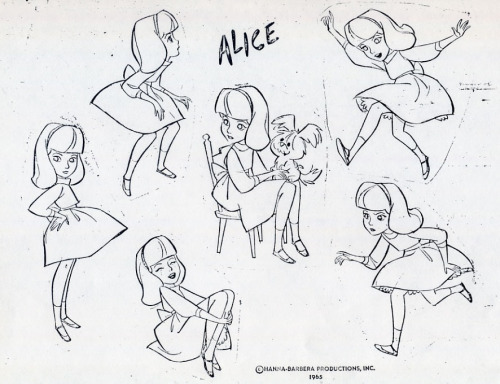 Character sketches for HB's Alice in Wonderland TV special. Iwao seemed to be specially apt at designing cartoon dogs (Astro from The Jetsons, Muttley from Wacky Racers, Scooby-Doo, Hong-Kong Phooey) and young women (Penelope Pitstop from Wacky Racers, Velma and Daphne from Scooby-Doo Where Are You?). 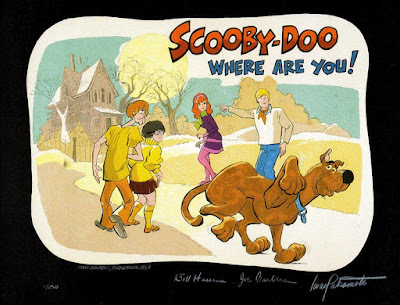 Scooby-Doo is arguably Iwao Takamoto's most famous creation. Iwao was inspired to create Scooby-Doo by one of his co-workers who bred Great Danes as show dogs. Upon reflecting on Scooby-Doo, Iwao said, "She showed me some pictures and talked about the important points of a Great Dane - like a straight back, straight legs, small chin, and such. I decided to go the opposite and gave him a humped back, bowed legs, big chin, and such. Even his color is wrong." 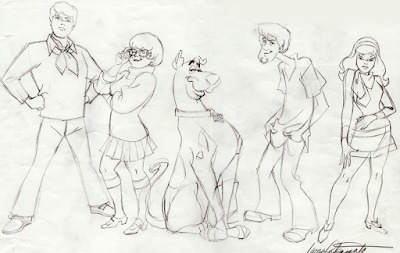 The first sketch Iwao Takamoto proposed for Scooby-Doo in 1969. 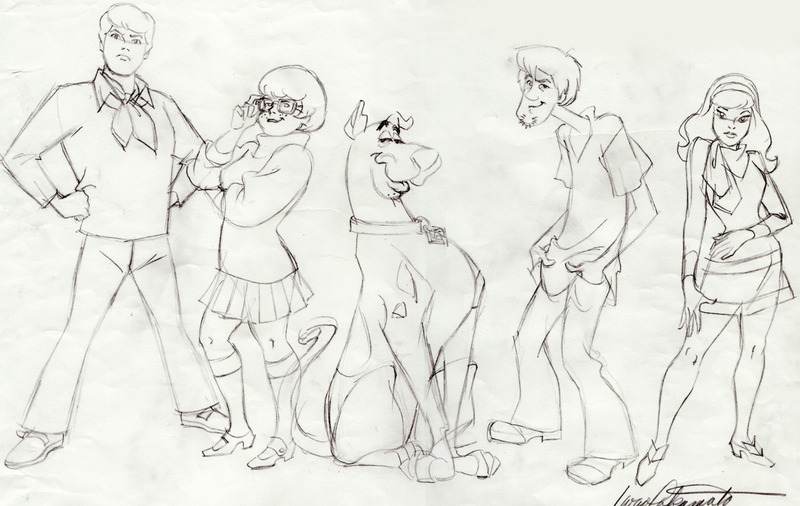 Pitch title card for Scooby-Doo. Later in his life, Iwao's role in the animation industry began to get more commonly acknowledged. In 1996, he received the Winsor McCay Award for Lifetime Achievement, having spent over 50 years working with Disney and Hannah Barbera. He also became Vice President of Special Projects for Warner Brothers Animation the same year. Iwao Takamoto passed away on January 8th, 2007 at age 81. His legacy lives on through the many animators he worked with and helped inspire. In 2009, Takamoto's post-humerous memoir, My Life with a Thousand Characters, was published. An intimate memoir entitled Living with a Legend by Leslie E. Stern, Iwao's stepdaughter, was published in 2012. The next Miyazaki is in the making. 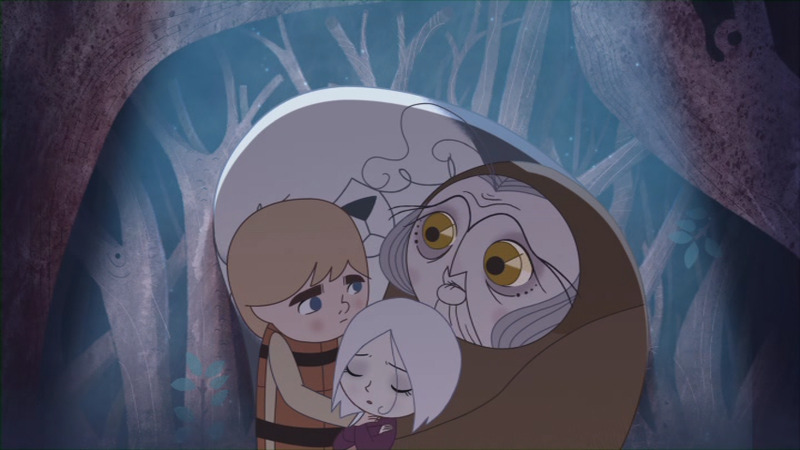 Cartoon Saloon is quickly establishing itself as a new animation powerhouse. 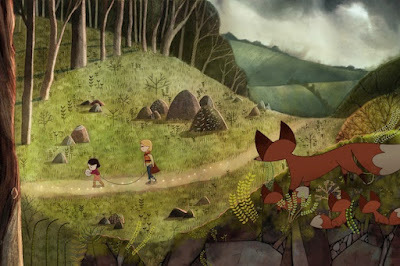 The studio was founded in 1999, but did not really come into its own until the late 2000s following the release of several short films and its first feature, The Secret of Kells (2009). 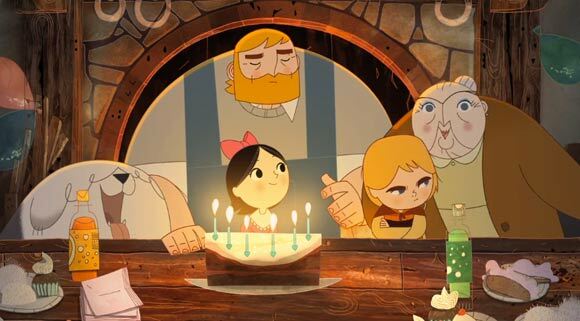 With the release of their newest movie, two TV series and upcoming feature in the works, Cartoon Saloon is setting an example for other small studios. Ethnically inspired, homegrown cartoons can find audiences, as they offer something different than typical Hollywood fare. As for The Song of the Sea itself, it is a bit of a departure from Cartoon Saloon's previous film. While also heavily inspired by Irish mythology and traditions, it is set in modern times, specifically 1987. 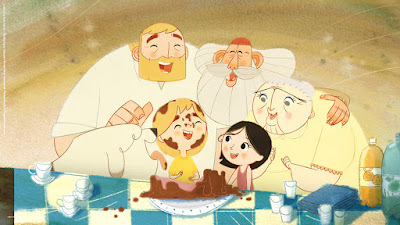 (The Secret of Kells is set around 800 AD.) 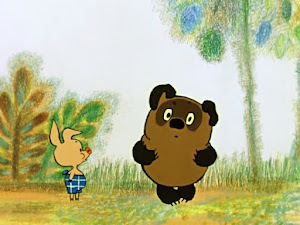 Both of the film's art styles are also somewhat different as well. 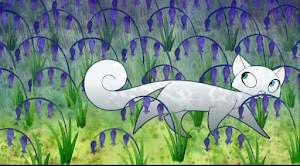 The Secret of Kells is dominated by interlacing spirals, geometric patterns, and thick outlines. On the other hand, The Song of the Sea veers more towards a rounded look, with smooth edges and sepia colors. However, the two movies share a similar theme: They stress the importance of family, and maintaining a sense of hope during difficult times. Tension bubbles just under the surface within the family. 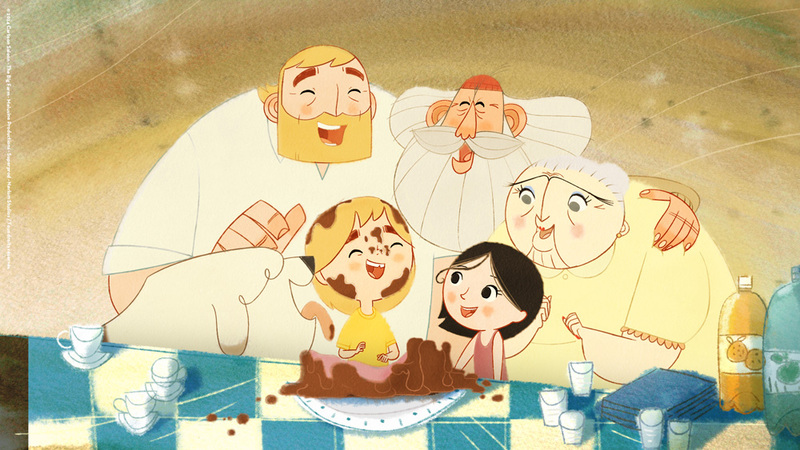 The Song of the Sea focuses on ten year old Ben, his six year old sister, Saoirse, and his father, Conor. Conor is left heartbroken by the departure of his wife, Bronagh, who disappeared into the sea after giving birth to Saoirse several years before. Ben has grown to resent his younger sibling, due to all of the attention she receives from Conor, and to the fact that he associates her with his mother's disappearance. Saoirse is a very bright and curious child, but is also mute. Saoirse is the spitting image of Bronagh. In fact, she is later revealed to be a silkie (a person who can transform into a seal) like her mother. After Saoirse is found washed up on the shore on her birthday night, Grannie decides that Saoirse and Ben would be better off living with her than their alcoholic father. She takes the two siblings to live with her in Dublin. However, Ben plans to run back home on Halloween night. At the same time, Ben discovers that the fairytale stories he was told by his mother appear to be real, when he and his sister encounter several figures form Irish mythology on their journey back home. Boredom was also a good motivator to leave Grannie. 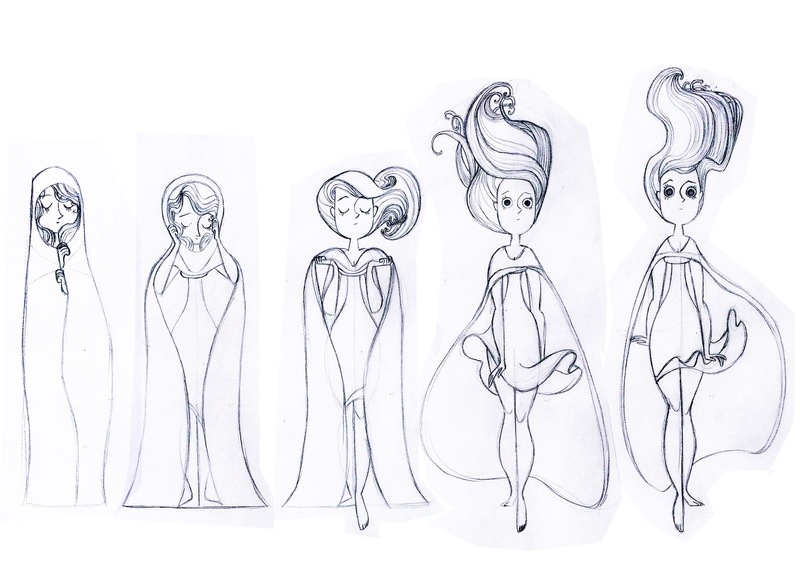 The characters in The Song of the Sea are complex and all grow through the trials they experience in their lives. At the start of the film, Ben is far more comfortable retreating into the world of comic books and reading his mom's stories than living in the present. He lavishes attention on his sheepdog, Cu, but rarely shows much affection towards Saoirse. It is not until Saorise falls ill that Ben realizes how much he has neglected her, and he decides to take matters into his own hands. Ben encounters many fairytale creatures on his quest to cure his ill sister (and, ultimately, save the rest of her kind). Some of them offer Ben advice, such as the forgetful but knowledgeable Great Seanchai, while others, such as the witch Macha, end up needing Ben's help instead. Macha is a particularly interesting character. 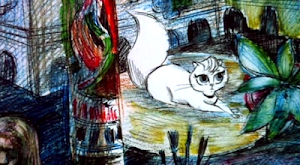 Initially, she is introduced as the film's antagonist. She steals people's feelings and turns them to stone. However, we later learn that Macha does so in an attempt to rid others of bad feelings, she has even turned herself partly to stone in the process. 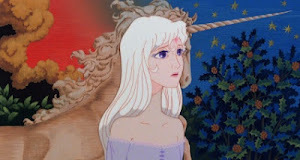 Macha's first victim, in fact, was her son the giant Mac Lir, who was morning over the loss of his lover. Both Ben and the witch, Macha, learn that locking up your emotions can actually do more harm than good in the long run. These mythological figures mirror people in Ben's own life. (And are in fact, portrayed by the same voice actors.) 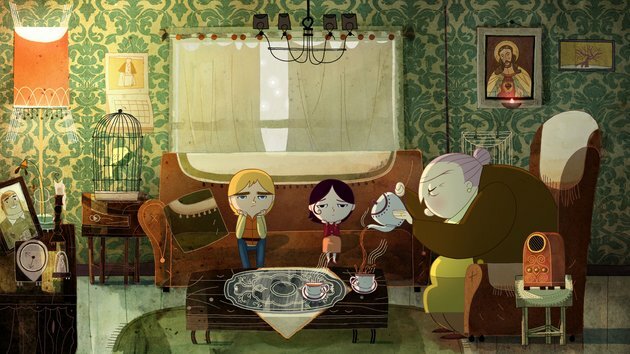 Macha represents Grannie, who attempts to help her family, but ends up accidentally causing tension by moving her grandkids in with her. Mac Lir represents Conner who is paralyzed by the loss of his wife. Finally, the Great Seanchai represents Dan the Ferryman, who acts as Ben's link to the outside world and offers him advice. 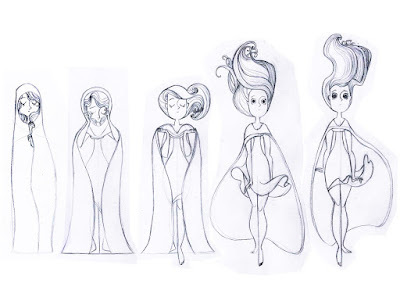 At first glance, the animation used in The Song of the Sea seems rather simple looking. However, this works to the movie's benefit rather than hindering it. 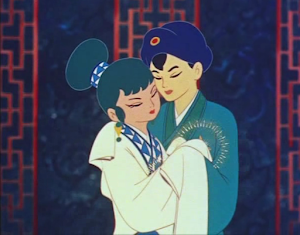 The stylized characters fit the mood of the film. They contrast with film's extremely detailed backgrounds, helping establish a relatable, but slightly otherworldly look. Since Ben's quest takes him between both the human and faerie worlds it works rather well. Both the final animation and concept art are beautiful. 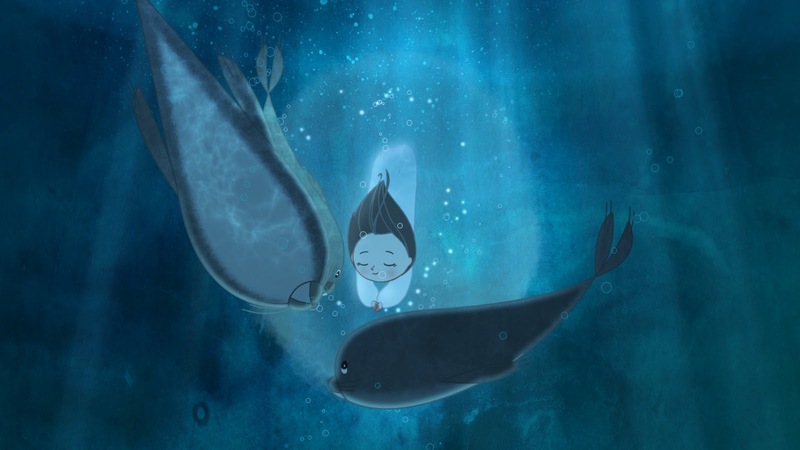 The Song of the Sea is clearly a labor of love, having spent over five years in production. It tackles subjects not normally touched upon in mainstream family films, but does so in a way that is perfectly acceptable for children and that is easy to understand. The Secret of Kells already proved that Tomm Moore is a talented director, and this film further proves it. It is easily one of the best animated films to recently come out, and it was wrongfully robbed of its Oscar. Hopefully, The Song of the Sea will eventually get the attention it deserves. Learning to accept life's troubles and moving on is the key to happiness. 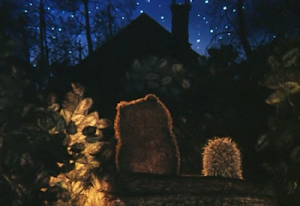 A minimalistic and emotionally charged film from an animation master. 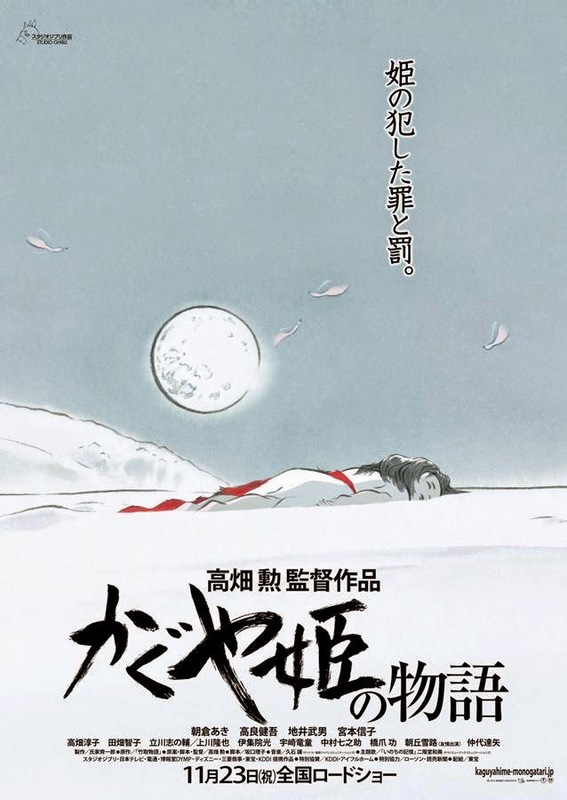 After an absence of 14 years, Takahada officially returned to the big screen with The Tale of Princess Kaguya. 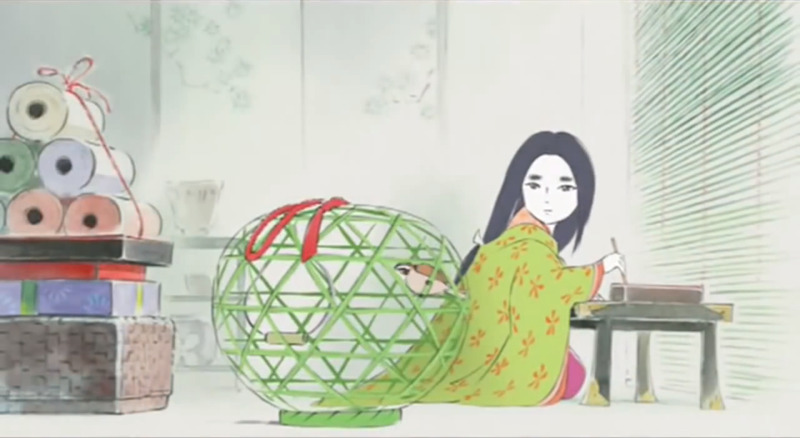 Initially, Kaguya was supposed to be released as double bill alongside Miyazaki's The Wind Rises (2013), but was released several months later due to falling behind schedule. 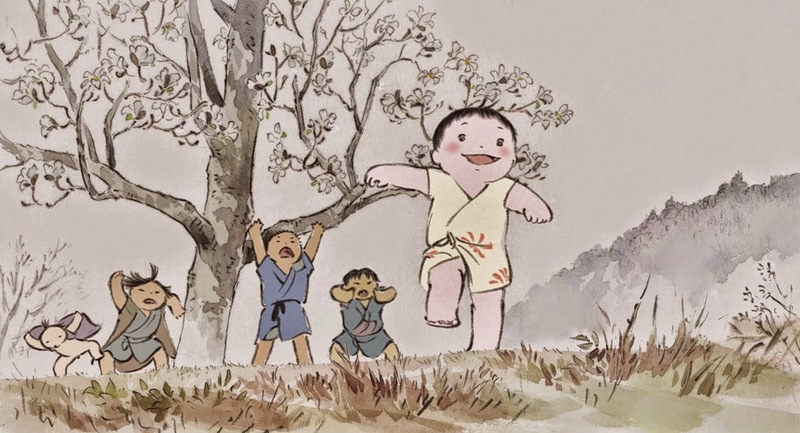 Princess Kaguya is based on the Japanese folktale, The Tale of the Bamboo Cutter, which is about an old couple who find a baby girl inside a bamboo stalk and decide to raise her as their own. Does Kaguya bring a miracle into her family's life, an extra burden, or an opportunity to grow? 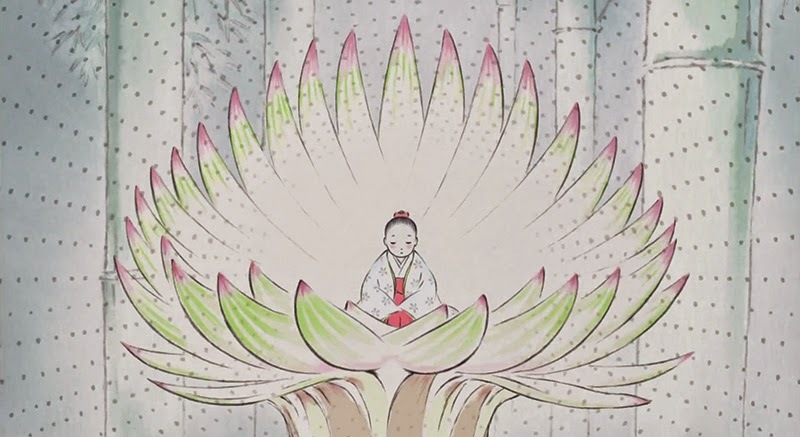 The Tale of Princess Kaguya has a relatively small cast of characters. We get to know Kaguya and her family quite well, along with her childhood friend, Satemaru, and her stern governess, Lady Sagami. Other characters such as the various suitors that try to win Kaguya's hand aren't given much development, but this actually works largely in the film's favor. Kaguya herself is a quiet, often inquisitive child. She grows unusually fast, earning the nickname Takeneko ("Little Bamboo") from the other children in her village. Kaguya loves playing outdoors and is more interested in playing with her peers than material pursuits. As she grows older, however, her adoptive father becomes increasingly convinced that his daughter deserves the best. After finding gold and some cloth in the bamboo grove, the Bamboo Cutter convinces himself that is a sign that Kaguya should be wed to a wealthy suitor. Believing that Kaguya is divine royalty, he moves his small family to the city. Kaguya is trained to be a 'proper lady,' but after the glamor of her new life wears off, she begins to miss her previous home terribly. Her life of royalty has become a cage, and she feels that she can no longer express herself as freely she used to. It's better to live poor but happy than to live surrounded by wealth and misery. If this isn't symbolic, I don't know what is. 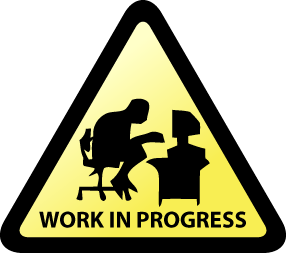 I just wanted to let everyone know that I am alive and will resume posting this month. I am almost done with college and have recently relocated to work a new job with State Parks. 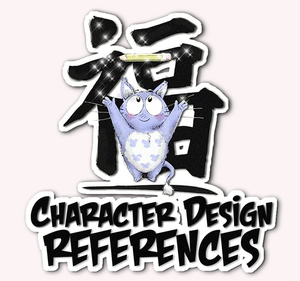 I was also recently contacted by the owner of Character Design References to write articles for his future website, but will still continue to post on this site. A simple digital piece made for a web design class. 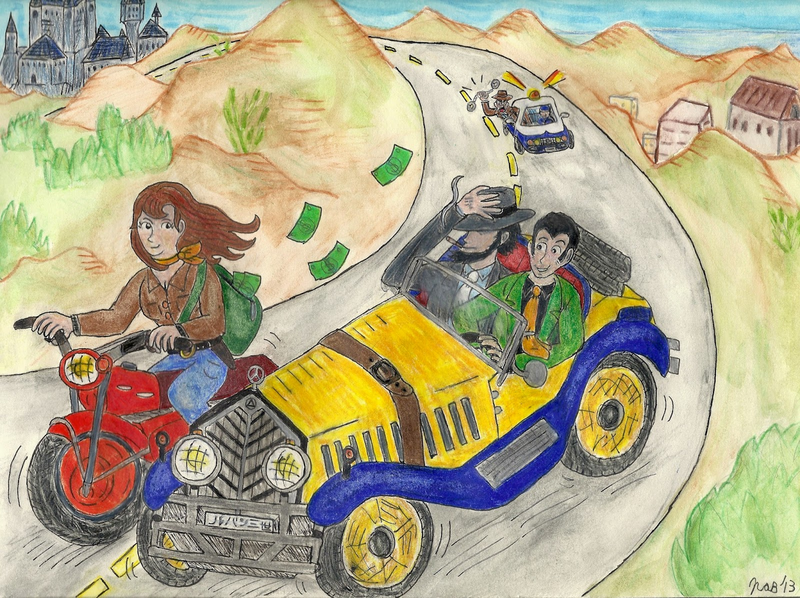 Lupin III fan art from a few years back. 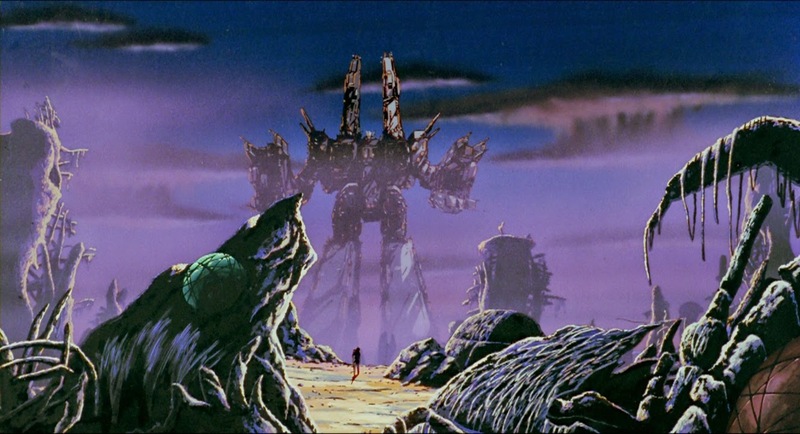 Macross is one of the most iconic Japanese franchises. 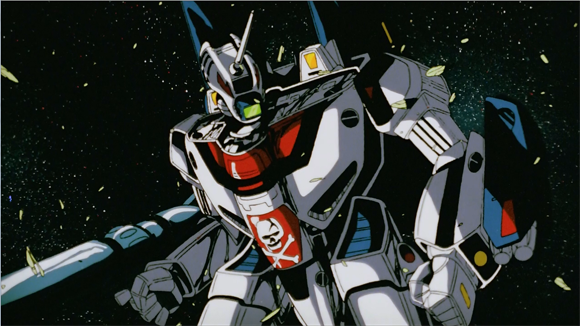 Over 30 years ago, The Super Dimension Fortress Macross debuted as a 36 episode television series. (It has since been followed with various other incarnations over the years, each along a different point within the fictional world's timeline.) 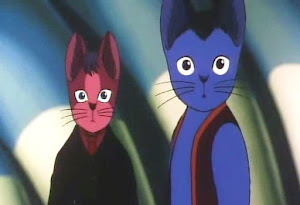 As a result of its popularity, the show was rewarded with an expensive, high profile animated feature. The film follows the same plot, but is reduced to fit within a two hour runtime. Because of this, the film has a few chronological differences and is set in medias res. 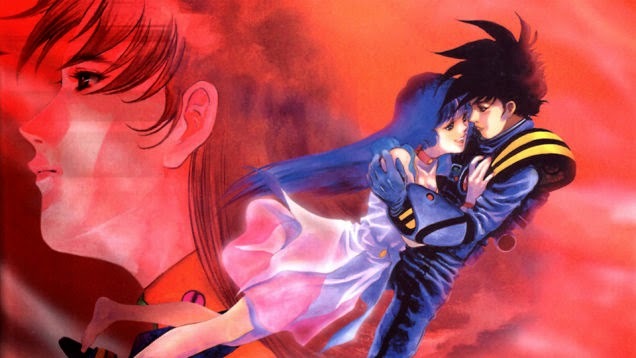 Macross: Do You Remember Love? takes place in the future. Humanity has evacuated Earth and is in the midst of a war with the male Zentradi and female Meltrandi. The U.N. Spacy, a successor of the United Nations, is in charge of defending Earth and general peacekeeping. Lynn Minmei, the forerunner of Hatsune Miku. This film is not like other franchise films of the era, which were often simply recaps using recycled footage or else made on very tight funding. 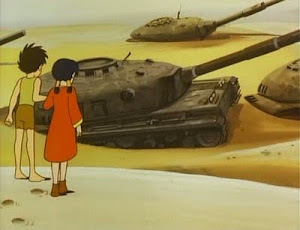 Its animation and art direction is fully realized, and holds up remarkably well today, perhaps even looking better than the average anime put out now. (In fact, one scene had to be cut because the movie was starting to run over budget.) The amount of detail given in each frame is impressive. Backgrounds convey each scene's mood, and the character's clothes realistically wrinkle when they sit down or stand up. 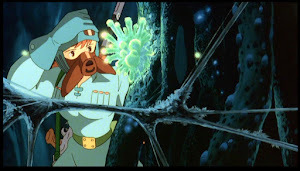 In this way, the film is a lot like Hayao Miyazaki's Nausicaa of the Valley of the Wind. Both were the first true big budget anime films of the era, and were coincidently released the same year. Eat your heart out, Gundam. The backgrounds are gorgeous, and often give off a melancholic feel. Do You Remember Love? 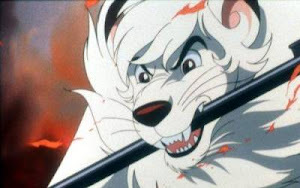 is, of course, also remembered for its use of pop music via Minmei (or rather her voice actress, Mari Iijima) and its tightly choreographed intergalactic battles. Macross's ability to easily switch between genres allows it to appeal to a wide variety of audiences. 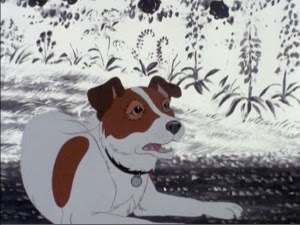 The film also makes great use of contrast regarding its narrative flow. 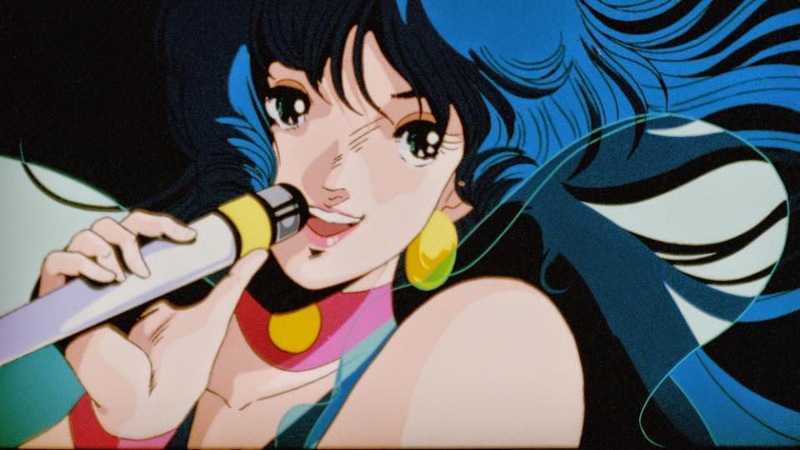 The first half of Macross is a lighthearted romp akin to a typical teen romance film with some action a la Star Wars. However, the later portion of the movie is more solemn and slow paced. The songs Minmei sings take on a sad, empty tone. Hikura and Misa are left searching for life on a seemingly abandoned Earth. When the action does return, it is more fast, more brutal. (Certain rather graphic scenes were even edited out of a recent Japanese DVD release.) Only by making peace with the Zentradi and Meltrandi can Hikura, Misa, Minmei and the rest of humanity hope to survive. The dogfight scene between Max and Milia. Let's all agree to disagree. Another year, another of the same... Well, not entirely. I'll admit I was pleasantly surprised that Birdman won Best Picture, and that it was tied with Wes Anderson's Grand Budapest Hotel with its number of nominations: nine total. Both were great films and I highly recommend checking them out if you already haven't seen them. 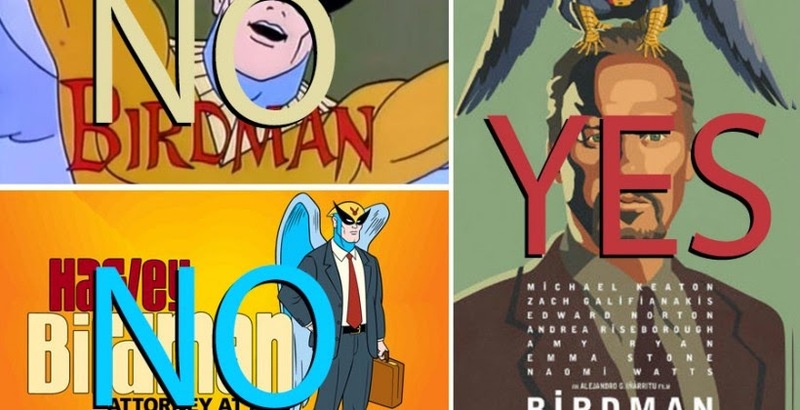 There is only one true Birdman. Two trailers for the two best animated films of the year. * PS: I will get to reviewing Kaguya and The Song of the Sea, asap. The local theatre will finally be showing them, and I have been waiting to properly see them on the big screen. © 2013 The ANIMATORIUM. Picture Window theme. Theme images by TommyIX. Powered by Blogger.